The checkers UC1700 includes holes that chains or ropes can be passed through, as well as handles on the rear for easy carrying. 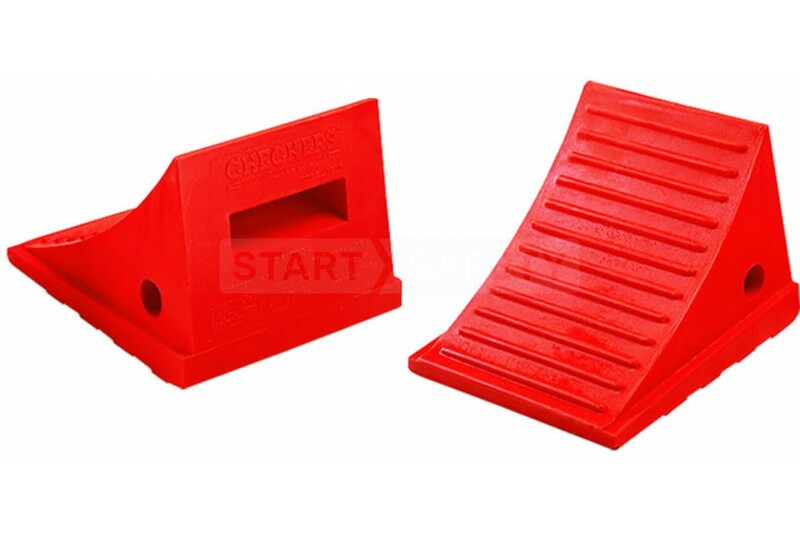 These chocks are made from durable polyurethane, this means that like the rest of the general purpose range that these chocks are resistant to oil, fuel, solvents and other chemicals. Not sure which size of wheel chock that you need? Check out our complete guide table here: Checkers Wheel Chock Guide.